It’s German. It’s cheap. It costs you a little extra work for big savings. What is it? It’s Today’s Experiment: Aldi. This is the shortest intro ever. If you are graced by an Aldi store anywhere near where you normally shop, go ahead and partake. It is my all time favorite store because I save so much money shopping there. Aldi is basically a store of store brand items. Aldi comes from Germany, which automatically makes it awesome because you can buy European imported coffee and dark chocolate. It also means it has some quirks that we’re not used to here in America. They may seem like inconveniences but they equal more money in your pocket. Inconvenience #1 If you want to use a cart, you have to have a quarter. You deposit your quarter into a box on the handle of the shopping cart to unhook it from the line of shopping carts. Because your wanting to get your quarter back ensures you’ll bring the cart back to the line, Aldi doesn’t have to hire shopping cart boys. Inconvenience #2 Shopping bags and sacks aren’t free. You can swipe empty boxes off the shelves and use those to carry your food. Or you can pay for some paper or reusable bags that aren’t expensive but do cost extra money. Or, like myself, you can bring your own reusable bags that you bought for dirt cheap. Inconvenience #3 You bag your food yourself. These inconveniences mean that the costs to run the store are kept low. Most of the time when I visit Aldi (in the morning), there are only two or three employees running the whole thing. If you are already used to buying store brand at your grocery store, go to Aldi instead. Well, first do some price comparison. But I can tell you that, here in my town, Aldi is cheaper than Walmart every time. And, unlike Walmart, Aldi will put produce that’s about to go bad on sale for dirt cheap. The only downside to Aldi is that you cannot get many speciality items there. For example, I go to Walmart to buy eggplant. Also, pecans are seasonal at Aldi, so I have to head to another grocery store if it isn’t early winter. Actually, most of the produce is seasonal which has its pluses and minuses. I know all of you are curious. Time for a little self revelation. We do probably about 95% of our grocery shopping at Aldi (the other 5% at Walmart) and our food budget is $30 a week. That’s right, Folks, my family of two adults and one toddler survives just fine on $30 a week by shopping at Aldi. What is the cheapest store in your location? 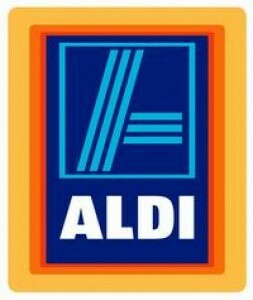 What do you like or dislike about Aldi? There are NO Inconveniences at ALDI! The prices are so good…it just doesnt matter! You can bring your own bags or boxes. I usually get empty boxes THERE and load my stuff…I’d rather take in a couple of boxes than 50 plastic bags!!! You can get reusable shopping bags at the thrift store! I looked for them every time I went by there and now I have probably 10 big canvass bags to use at Aldi. When they get dirty, I throw them in the wash with the towels. This is SO much better for the environment and the bags won’t rip an dump your groceries every where! Finally, someone who can agree with me about the Aldi store. I live down the street from one and from Meijer and Walmart, and they have the best prices, the best seasonal selection other than the local farmers market, they even have brand-name non-food items that are cheaper there than at any big name store. I love Aldi’s! The nearest Aldi to me is 31 miles away.